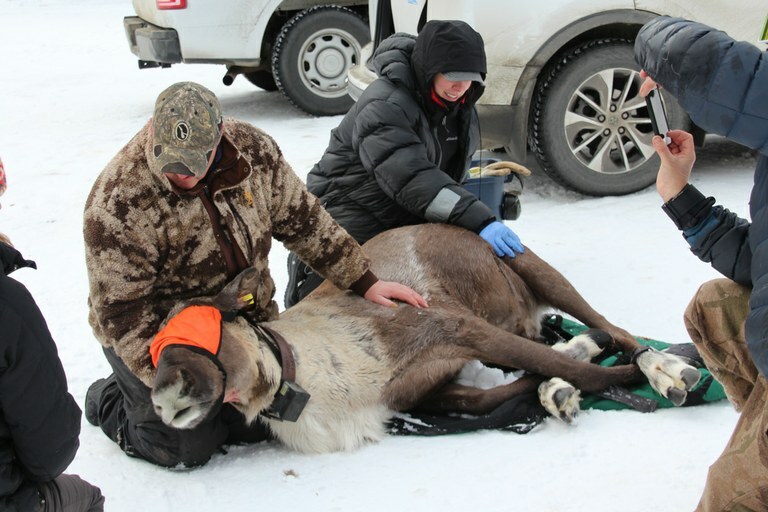 Government biologists with one of the three caribou relocated to Revelstoke. Woodland caribou, which once roamed from Maine to Washington state, were protected as endangered in 1983. In recent years, they’ve all but vanished from the Lower 48, largely due to industrial logging. Still, the tiny South Selkirk herd hung on along Idaho and Washington’s northern border, ranging into British Columbia, where perhaps 1,000 animals remain. But wide-scale timber harvesting, unchecked recreation and climate change mean that the species continues to spiral downward (“In Canada, mountain caribou recovery effort falters,” HCN, 10/31/16).